The ancient city of Cusco. An obscure or even unknown place to some. A bucket list destination for others. And for many foreigners, it’s home – whether for a few months or a few (and sometimes more than a few) years. We first came to Cusco in 2011 and planned to spend a month, at most a couple of months, in this Andean city partly to explore and partly to unwind after spending some pretty intense time in the Amazon jungle. A couple of months turned into a return visit. And another. 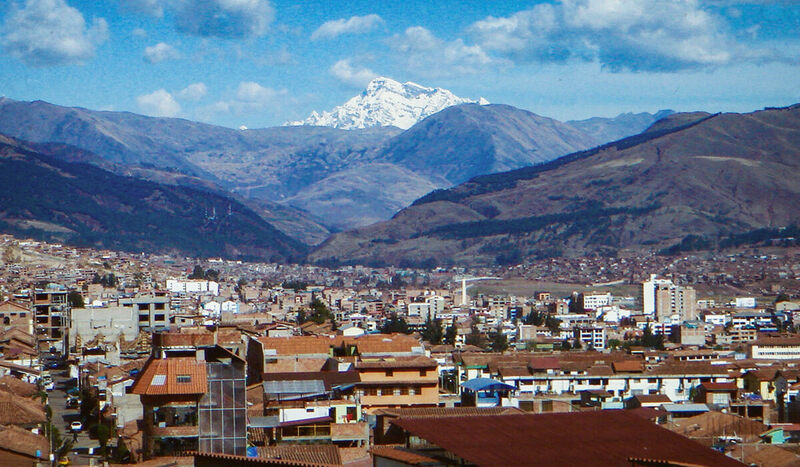 And before we knew it, Cusco had become home. Or at least “home base”. So why Cusco? We get this question ALL the time. It’s a valid question because, although Cusco is on many “bucket lists” for travel, it generally doesn’t turn up on liveability lists. Here’s what most people know – Cusco is the gateway to Machu Picchu. Millions of people make the journey to Cusco and the pilgrimage to Machu Picchu every year. And yes it’s an incredible and impressive place. A place we’ve visited four times. But there is so much more to Cusco than Machu Picchu. 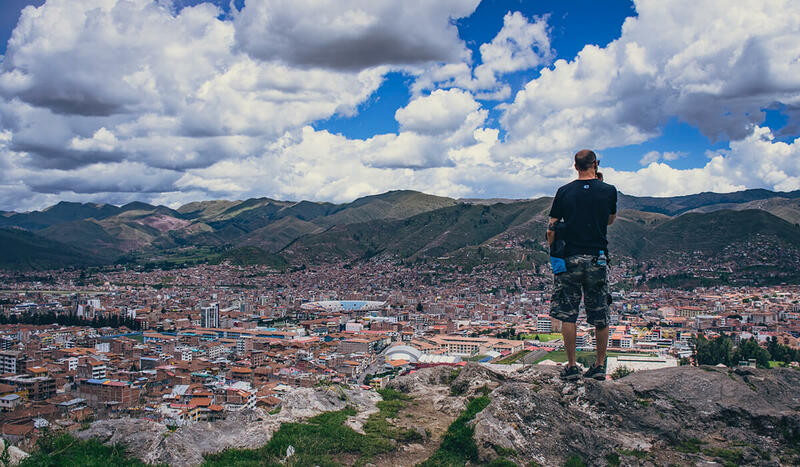 Talk to any expat or long-term traveller who has spent time in Cusco and you’ll discover that there are a myriad reasons for choosing Cusco to live. 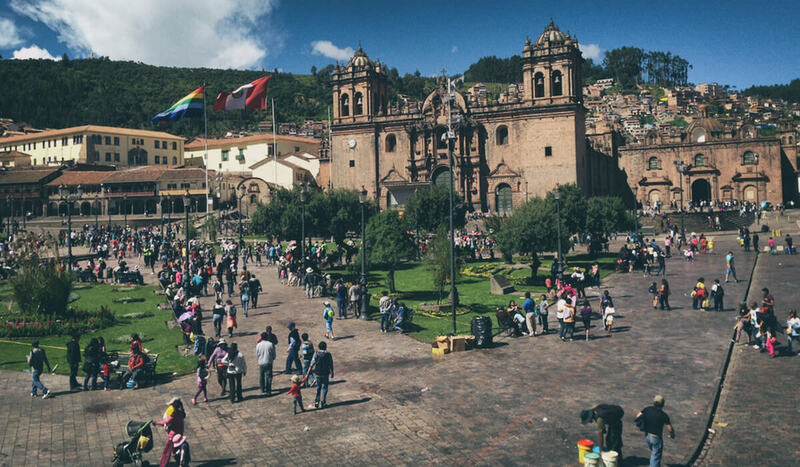 Many just end up staying in Cusco longer than expected. It has a sort of magnetic energy for some. It happened to us. And we saw it happen over and over again. People would come and stay longer than they had originally planned. Or they would leave. And keep coming back. We had a theory that Cusco either welcomes you in or spits you out. It’s a land of extremes and contradictions and certainly not for everyone. But it was these extremes that drew us in almost immediately and kept us there happy and content for many years. So while it’s no longer our base (for now), here’s why it was for a long time and why we will always love Cusco. The mountains are at your doorstep. Living in Cusco means walking out your door and straight into the mountains. 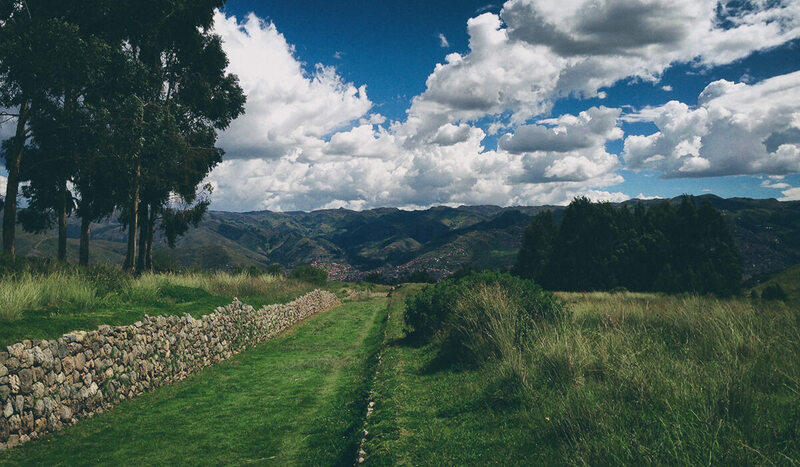 And if mountains and hiking are your thing, then Cusco is most definitely your thing. It was ours without a doubt. Surrounded by breathtaking views of the Andean mountains, with the majestic Ausangate off in the distance (see the main image on our home page), we were in constant awe. But at 3400 metres above sea level, the altitude can be a problem for many. As a foreigner, it’s difficult, almost impossible, to become completely acclimatized to the lack of oxygen. Also it gets quite cool this high up. But being able to walk from our home directly into the mountains is a luxury for which we were always grateful. The ruins of the Temple of the Moon. A 30-minute walk from our house in Cusco. 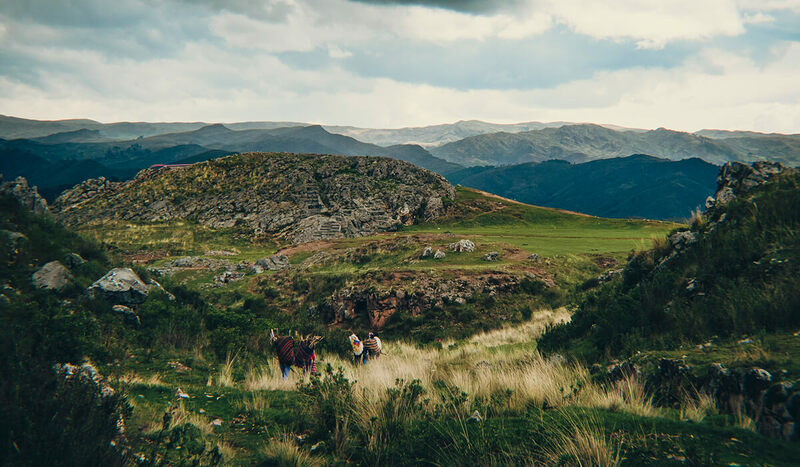 Who needs the gym when you’ve got fresh air and the Andes? We loved being able to walk out the door and away from the city towards the pastoral green of rolling hills. 20 minutes up and the city ceases to exist. 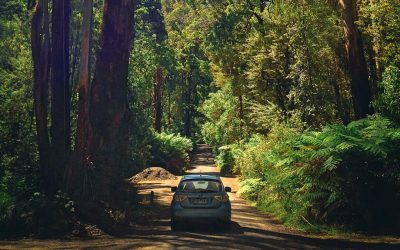 We could just pack some snacks and get our regular dose of nature therapy. Traffic and tourists were replaced by quinoa and amaranth fields, cool rivers, herds of sheep, alpaca and llamas, and ancient ruins. The city is also at your doorstep. 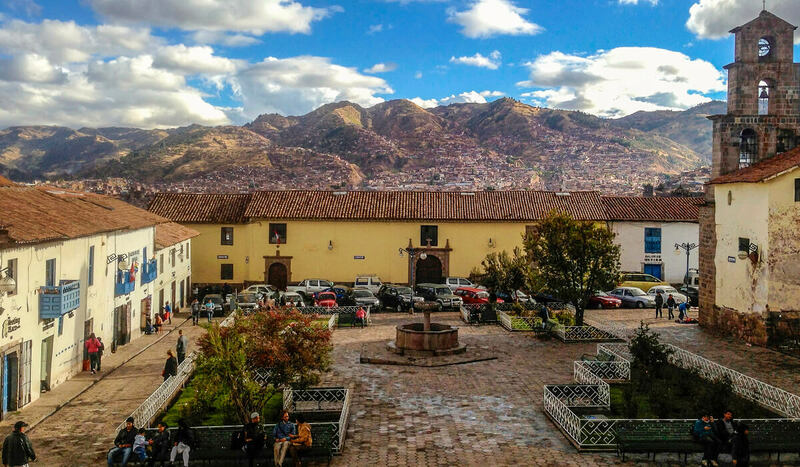 Cusco is very walkable – though you might be out of breath if you’re not used to it. That means on any given day, you can walk into town and grab a coffee or fresh juice before heading up the hill for a day hike. After your walk, you might want to get a massage or relax at the spa before heading out for a delicious dinner and glass of South American wine. There are not many places on earth where both mountains and city are at arms length. No car necessary. It’s also one of the most touristed cities in South America. This can be particularly maddening when you have to wade through selfie sticking-ing tourists and tour-peddling touts just to get your groceries. 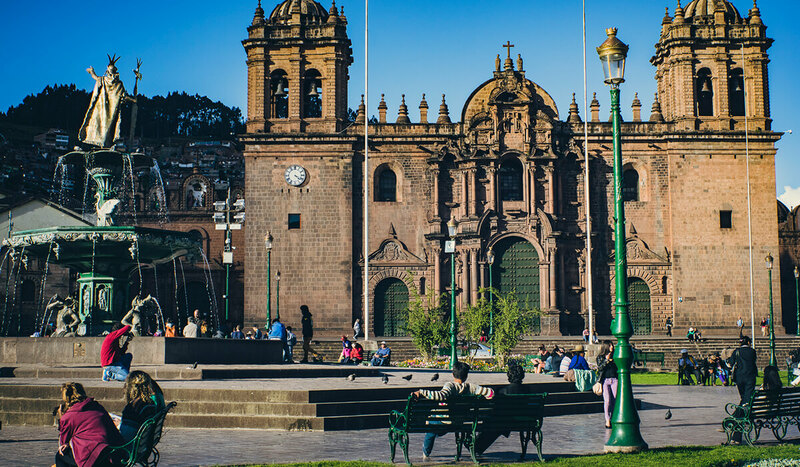 But despite the inconveniences that tourism can bring, it also gives Cusco a bit of a cosmopolitan feel, particularly in the historic centre, where you’ll find a handful of great restaurants, cozy little cafes, and shops owned by local designers. There are also a ton of novelty-driven low-quality tourist traps but that’s to be expected in a place where the tourist is king. Cusco is not perfect. There’s a lot of poverty. And there are elements about Cusco living that may be difficult for some. Funnily, most of the issues for us were water related. But these were challenges that we, like many others, accepted as part of life and eventually got used to. In fact, once we got to know how things worked, it was fairly easy to create a life with all the creature comforts we needed to make it possible to live there for so long. It’s a city with so much history. And when we say history, we mean ancient history. Cusco was built by civilizations. Not just one, but many – each one leaving their mark to create the Cusco that exists today. It is a multi-layered history that spans centuries. Cusco is perhaps most famous for being the capital of the Tawantinsuyu, or Incan Empire, from the 13th to the 16th-century. After that, the Spanish came. Before that the Killke people were there. And some believe there were civilizations long even before them. This used to be our playground. The historic San Blas Plaza in Cusco, Peru. In 1983, UNESCO declared Cusco a World Heritage Site. It is the oldest constantly inhabited city in the world. The city is the ruins. Much like Rome, Cairo and Athens, walking through Cusco’s old city centre is like walking through a time capsule. Every building is a rebuilt ruin. Every church was a temple before that. There’s something special about living in a place with this much history. 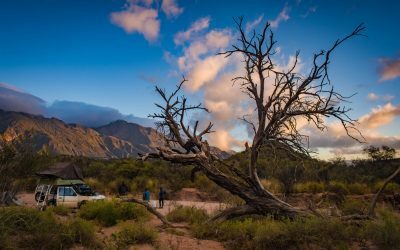 Though it can seem a bit surreal at times – with the epic landscapes, cobblestone streets, ornate churches. Some days we would walk through the plazas awestruck all over again. 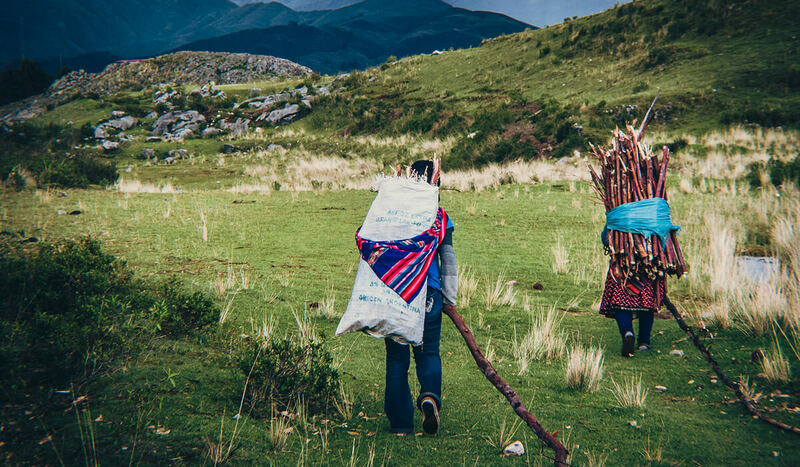 Andean culture is infused into daily life. The indigenous Quechua peoples are the lifeblood of the Cusco region of the Peruvian Andes. Though these communities have endured centuries of hardship and oppression, their traditions stand strong. Andean culture permeates daily life in Cusco. You hear the music, buy the textiles, eat the food, hear and see the language. 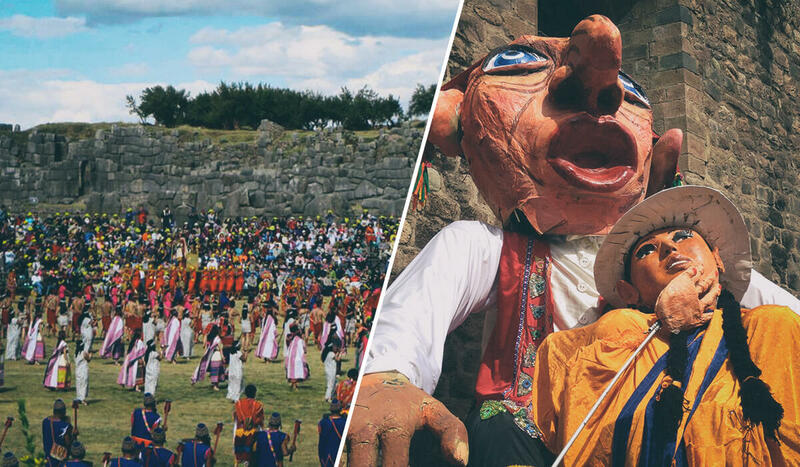 Festivals like Inti Raymi, or the Festival of the Sun which celebrates the winter solstice, showcase indigenous language and heritage, and have become major draws for both Peruvians and foreign tourists. The reality of life for many locals, though, is not easy. While traditional culture is officially promoted for the sake of tourism, there is a huge disparity between the haves and have-nots. The reconciliation between old world traditions and modern day values is a hard and complex conversation. Poverty is endemic to many of Cusco’s indigenous people and their customs are often stifled by regulations. But through it all, the rich culture of Cusco’s Andean peoples continue to permeate the fabric of everyday life. And the longer you live in a place like Cusco, the better you get to know and understand its local traditions as they infiltrate your own life and one day just become part of your norm. And for us, the dissonance between modernity and tradition, this fusion of contemporary values and indigenous culture makes Cusco one of the most vibrant and interesting places we’ve ever lived. So much of indigenous wisdom and tradition is steeped in the mystical and magical. And say what you will but, for us, a little bit of magic makes life so much more interesting. In Cusco, the mountains, or Apus, as well as the earth, or Pachamama, are revered entities to which one pays homage. 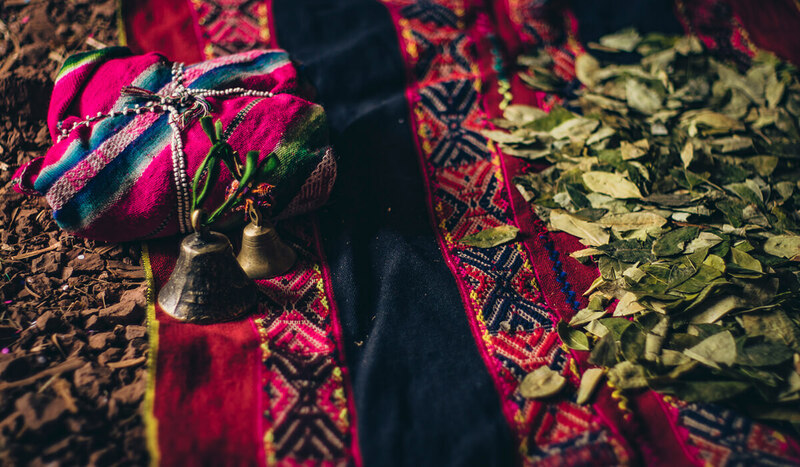 Coca leaves are used in prayer and offerings. There is a sun temple. There is a moon temple. The city itself was formed in the shape of a puma, symbolizing the power of the earth. Ceremony and ritual fill the air. Shamanism is so much a part of every day life that it has found its way into the tourism industry for better or worse. And you’re just as likely to hear conversations about trekking to Machu Picchu as you are to hear people discussing their previous day’s San Pedro or despacho ceremony. What we love is this easy coexistence between the physical and the spiritual – the seamless and natural flow between both worlds. For us, this meant being in a place that allowed us to explore all aspects of life and the human experience. Cusco is a beautiful city. But it’s not for everyone. 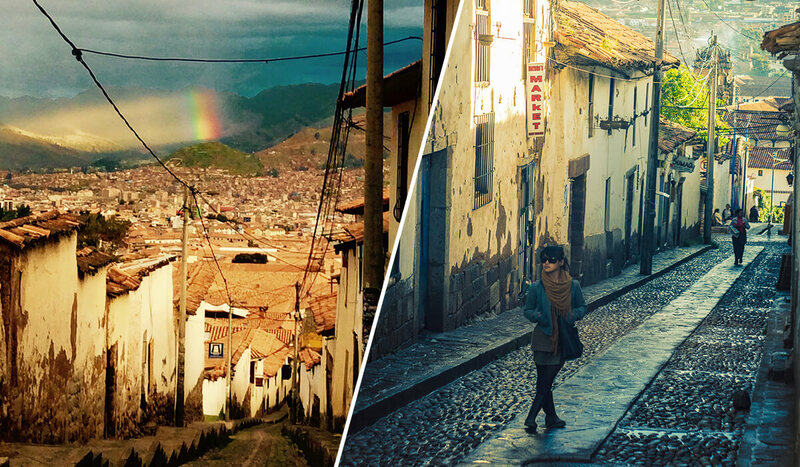 It’s not always the easiest place to live as many Cusco expats and long-term dwellers can attest. But those who live there, love it as we did for so many years. Until then, keep exploring, creating, and guiding!